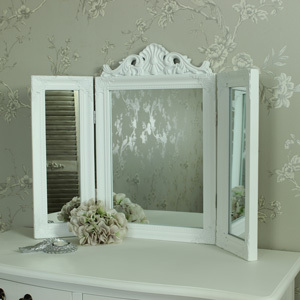 Triple or swing mirrors, large or small, Shabby chic or contemporary – we have them all! 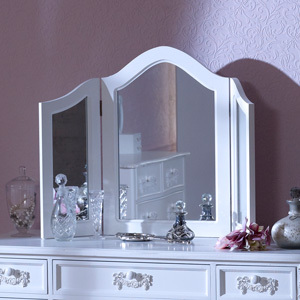 Take a look below and find the right one for you! 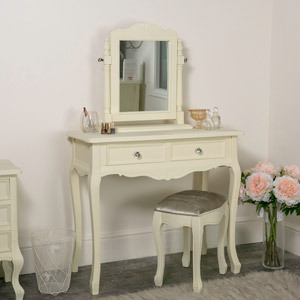 Your french style dressing table is a sacred space. 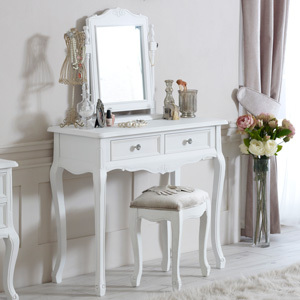 It’s the place you work your magic in a morning and get yourself ready to face the world. 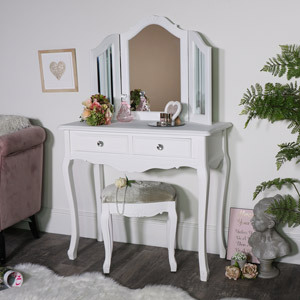 We believe every woman deserves a gorgeous dressing table and with every dressing table, you need a dressing table mirror! 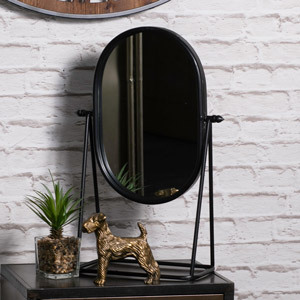 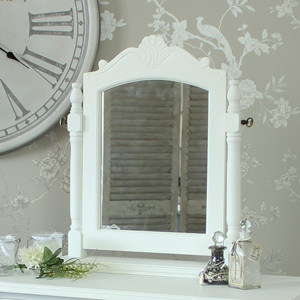 Here at Melody Maison, we stock a fabulous collection of shabby chic wall mirrors, triple mirrors and swing mirrors that would make a gorgeous addition to any bedroom set. 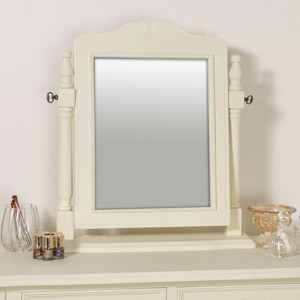 White, grey, cream, gold or silver – we have the perfect mirror for you! 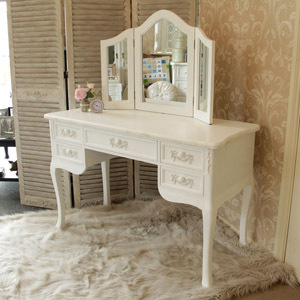 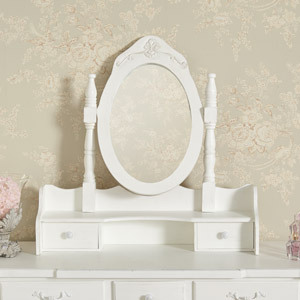 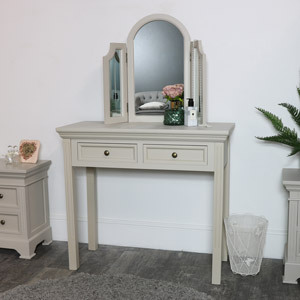 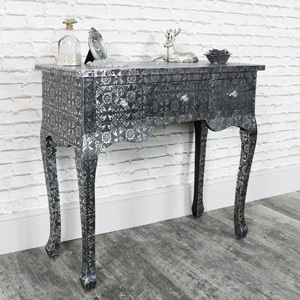 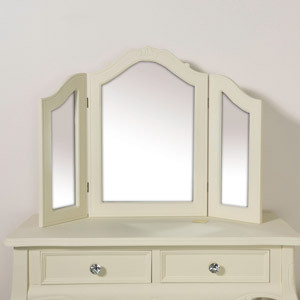 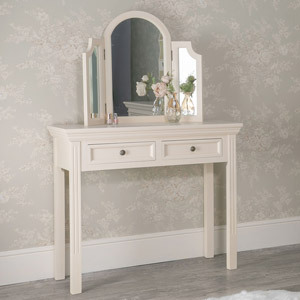 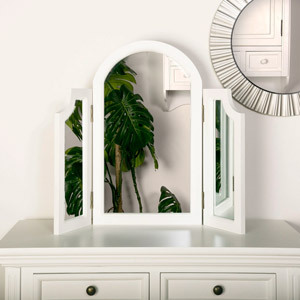 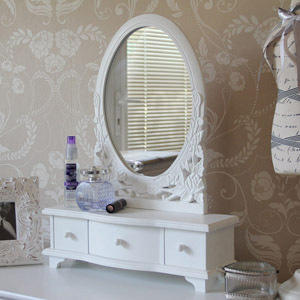 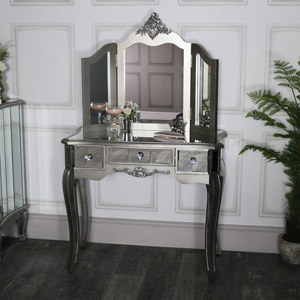 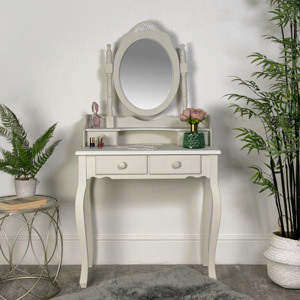 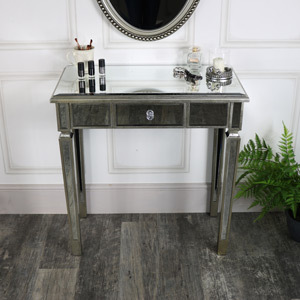 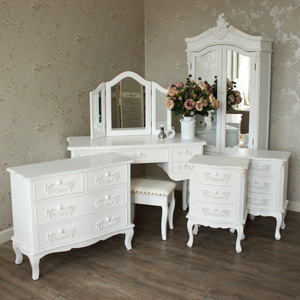 If you have purchased your dressing table from us here at Melody Maison, we always make sure to have a matching mirror for all of our dressing table ranges, to make sure your french style bedroom furniture set is a match made in heaven. 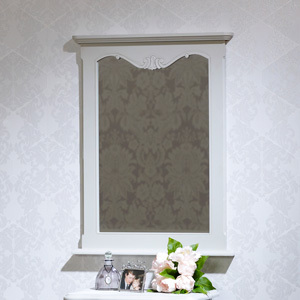 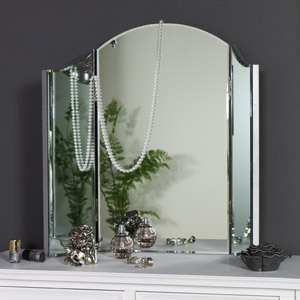 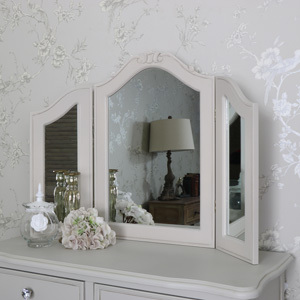 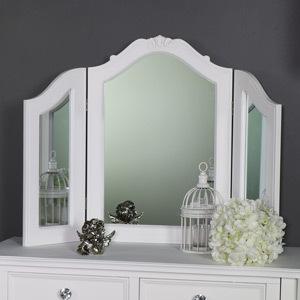 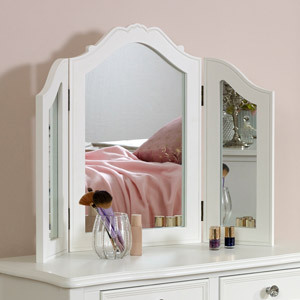 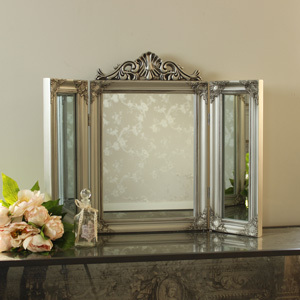 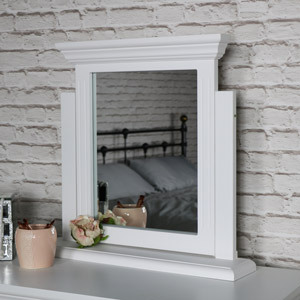 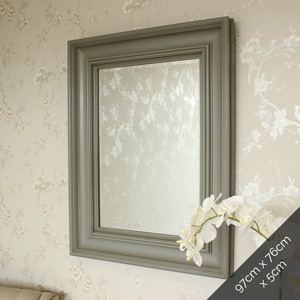 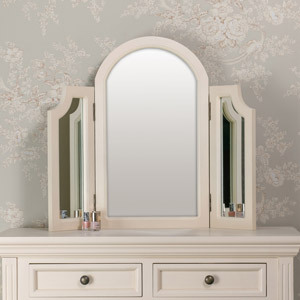 Our selection of dressing table mirrors are available in a variety of sizes, styles and colours. 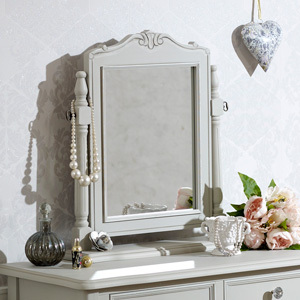 If your home is vintage, shabby chic, rustic, country or contemporary style, don’t worry, we will have a mirror to suit your tastes. 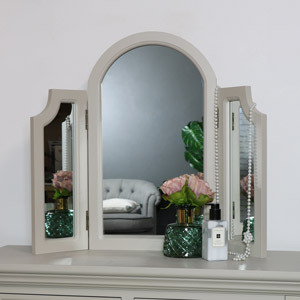 All of our mirrors are crafted and finished to the highest standard and are excellently priced. 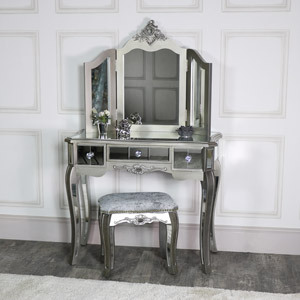 Take a look at our full collection.